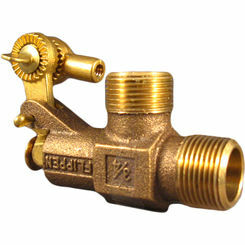 Hose bibbs are widely-used valves for both residential and commercial purposes. 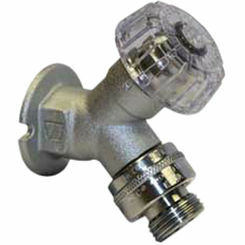 We have thousands of hose bibb options, including name brands Woodford, Arrowhead Brass, B&K Mueller, Watts, and more. If you have any trouble locating the right parts, please contact a member of our professional staff. 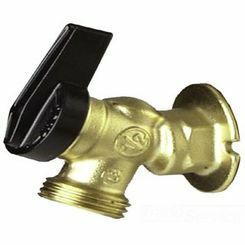 You should be well informed before making a purchase so that you are certain you get the right hose bib for your project. 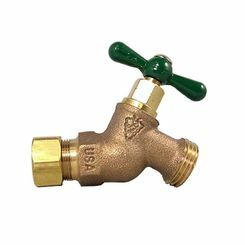 PlumbersStock offers a wide variety of fittings to ensure your lawn and garden get the care they need. 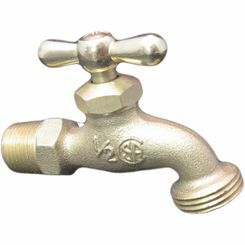 Also known as wall hydrants, spigots, sillcocks, etc., hose bibbs are the fixtures you commonly see on the outside of homes. 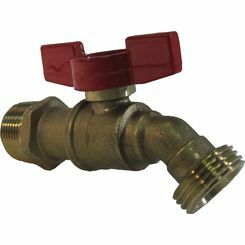 They are threaded so that you can easily attach and secure a hose. They are typically made up of a single valve stem system but can have more than one. Replacing a bibb is not a very complicated task. 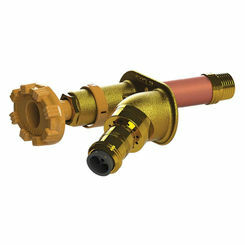 There are two main types of hose bibbs: those that have a threaded connection and those that need to be soldered. 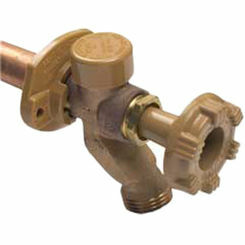 It is much simpler to replace a wall hydrant with a threaded end, but it is also possible to replace the soldered type. 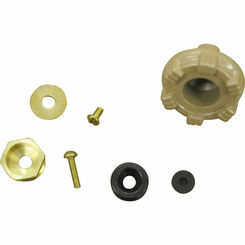 First, we will discuss how to replace the threaded version. 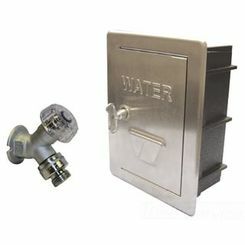 The primary step when replacing any part that is connected to water pipes is to turn off the main source of the water. 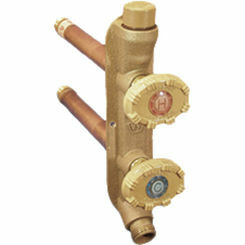 It is not necessary that you completely drain the pipes before replacing a threaded hose bibb. 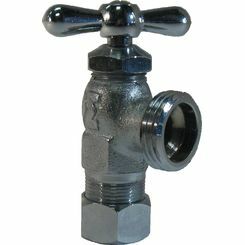 In order to remove the old one, stabilize the main pipe with one wrench while twisting the body of the bibb with the other wrench. 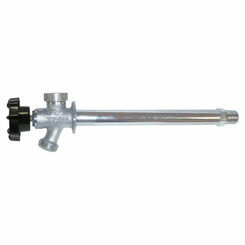 Be sure to stabilize the main pipe to prevent any twisting, as that could create a large amount of damage to the pipe. This could be very difficult to repair as many pipes are within the body of the house or building. Once the old part has been removed, you should clean off any excess dirt or debris with a cloth or towel. You can then apply the Teflon tape to the threaded end where the new hose bibb will be attached. Then twist the new one onto the pipe. It is normal to have 2-3 threads showing at the back of the hose bibb. Once again, the first step to take is to turn off the main source of water. 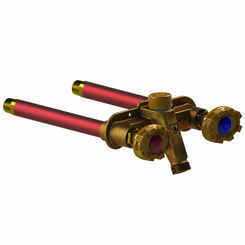 With soldered hose bibbs, however, it is essential to remove all of the water. 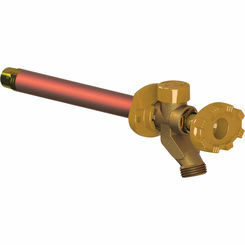 If there is water in the pipe, it cannot be heated sufficiently to solder the pipe. This can be done with a shop vac. If there is sufficient pipe, you can just cut the pipe and solder the new hose bibb to the end. If not, the old bibb can be removed by heating it up with a torch and using the same two-wrench method explained previously. Once the old hose bibb has been removed, solder the adapter piece to the pipe. The new bibb can then be attached, and the water can be turned on. If you still have questions do not hesitate to call or e-mail.  We value our customers and want them to be comfortable with their purchases. 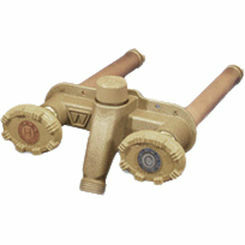 If you are looking for discount wall hydrants, then you have come to the right place. Our staff will help you understand your options. Do you need a frost-proof hose bibb? Do you need multiple units in the same location? Etc.